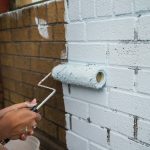 The summer months are upon us, and this means that a large portion of our work at New Approach Painting takes place outside. This work includes exterior building/home painting and restoration-style projects with plenty of high ladder work — sometimes even as high as 40 feet! We believe that it is critical that everyone at New Approach Painting is instructed on how to properly use ladders and other tools to make our exterior projects efficient and safe. In this blog, we’ll cover some important ladder tips and we’ll review key tools that will make exterior ladder work less intimidating. Anytime while using ladders it is vital to ensure that you are aware of your surrounding environment. Be sure to scan your immediate surroundings to figure out how much room you have and what potential obstacles might be in your way while trying to move your ladder. Always ensure that the ladder hooks are set properly into place on the desired rung before climbing, to avoid the ladder collapsing on you. Use a spotter when using ladders over 30 feet in height, when on awkward angles, on roofs, or any other time you might feel uncomfortable. It is very important to follow these basic rules, however, this is not an exhaustive list and many ladder safety tutorials can be found on YouTube or other web sources. To avoid potential accidents or ladder falls while using an extension ladder, a general rule of thumb is to set up the ladder an arms-length away from your torso, while the front of your feet are just touching the base of the ladder. This is the most optimal angle for safe ladder climbing, however small adjustments can be used as needed. While conducting exterior extension ladder work, you may come across a variety of surfaces that you need to place your ladder feet on. This could include grass, loose or firm soil, concrete, wood decking, or shingles. When placing the ladder feet on grass or soil, you will want to dig the foot claws into the ground to create a strong base for the ladder to sit. Digging the feet into the ground creates the most solid ladder placement on these types of surfaces and will reduce any risk of the ladder feet slipping out from underneath you. When placing the ladder feet on concrete, wood decking, or shingles, you will most often have the ladder feet’s flat rubber surface face down to create traction against the smooth surface. If the rubber footing still does not feel adequately safe, consider using a non-slip ladder mat for additional traction under the ladder feet. Non-slip ladder mats are a great tool to ensure safe ladder placement on any smooth exterior surface like concrete, singles, or wood decking. The mats can simply be laid uniformly on the ground underneath the ladder feet to create extra traction. A cut can hook is one of the most important tools for painters while performing extension exterior ladder work. This small metal hook latches onto the handle of the cut can to allow the painter to hook it onto a ladder rung while painting. This simple tool allows for maximized painting efficiency and also helps to free an arm for the painter so they can maintain three points of contact with the ladder at all times (both legs, and one arm). Ladder arms are another useful tool that save our painters from unnecessary work and provides added safety. Ladder arms are inserted into holes on either side of the extension ladder near the top rung. These arms allow for increased distance off any surface, added stability, easier access to areas likes roofs or eavestroughs, and they will create less scratching and damage to building surfaces. Another huge advantage to using ladder arms is the ability to straddle windows, which makes them much easier to prep and paint. 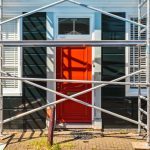 Performing exterior extension ladder work can be intimidating, but by following these safety tips and using the recommended tools above, you can work safely and more easily. 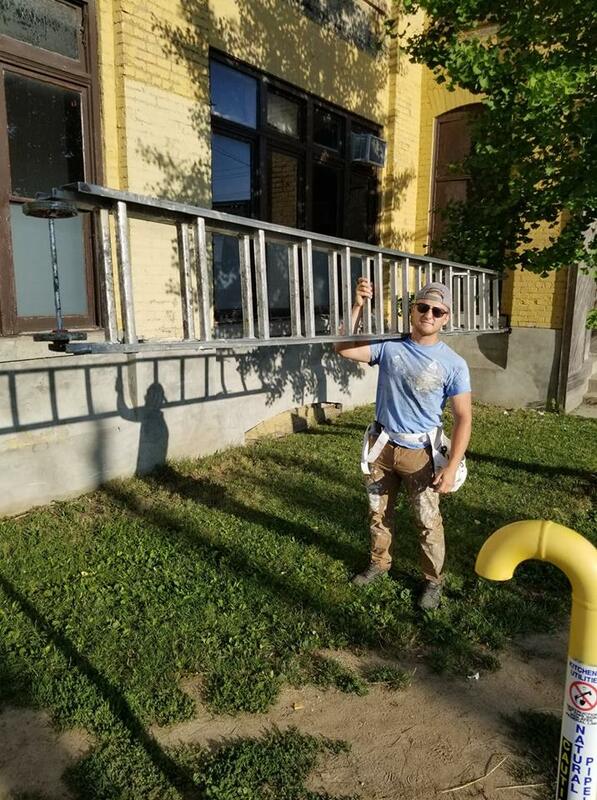 If climbing on tall ladders and working in the heat isn’t how you want to spend your summer, contact the professionals at New Approach Painting — we’ll take care of everything.